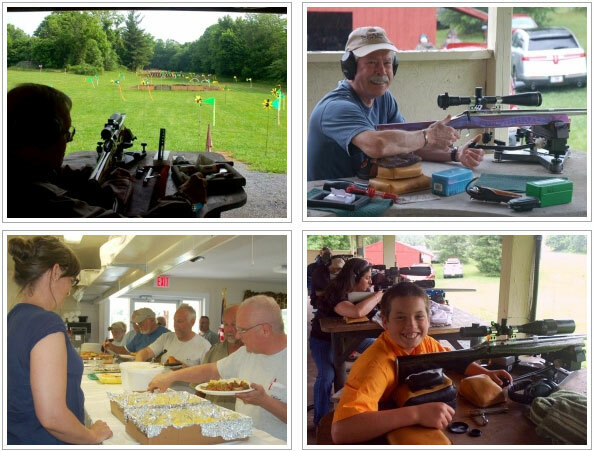 This past weekend, score shooters from as far away as Florida and Maine gathered at the beautiful Thurmont Conservation & Sportsman’s Club (TCSC) range in Thurmont, Maryland. They were there for the 19th Annual Bud Pryor Memorial Match. 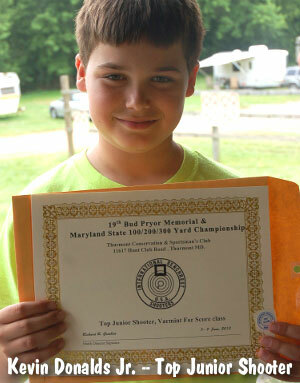 This match is also the Maryland State 100-200-300 championship. It is a pivotal match in the Score Shooter Of the Year (SSOY) race because 60 points are up for grabs (as many as are awarded at the Score Nationals). The Bud Pryor Match is a three-day event. 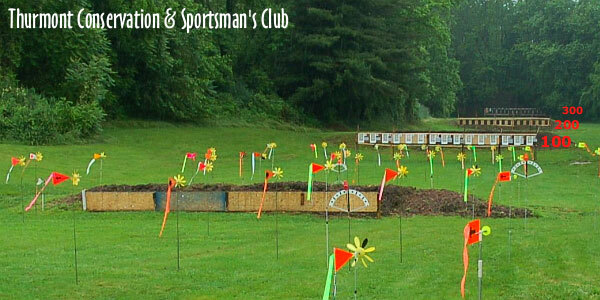 Competitors shoot at 100 yards on Friday, and at 200 yards on Saturday. On Sunday is the infamous 300-yard stage — the “great equalizer” that separates the good shooters from the great shooters. On Friday morning the 100-yard stage started rainy and miserable (though not too cold). As the day went on the wind picked up some and before we were done I actually compared it to how wet and windy it was in Orrington, Maine two weeks earlier. Herb Llewellyn set a blistering pace at 100 yards, turning in a 250-24X performance in some challenging conditions. He was followed closely at 23X by David Apple. A total of twenty-seven “clean” 250s were shot in VFS class at 100. 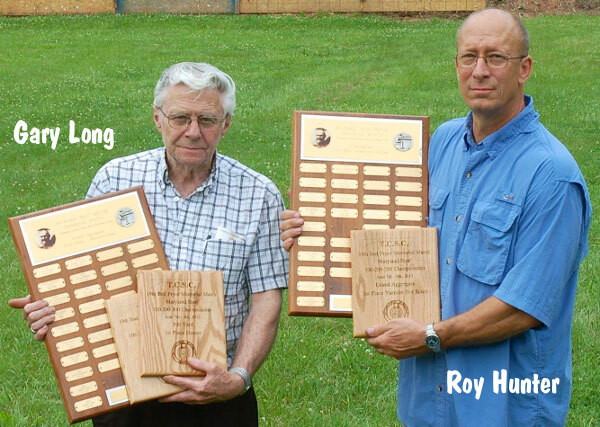 Also very noteworthy, in Hunter class Dean Breeden shot 250-17X and Gary Long shot 16X. The Score Shooter of the Year is determined on a point basis. For a regular two-yardage (with Grand) match (not a State or National Championship), a maximum of 30 Points are available to the winner. That’s 10 for each yardage (100/200) and 10 for the Grand. The same match in a State Championship situation has 45 points available. 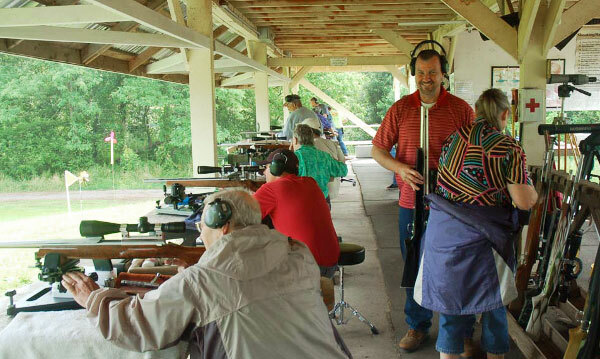 A National Championship with up to 50 guns in class is worth 20+20+20 or 60 Points. 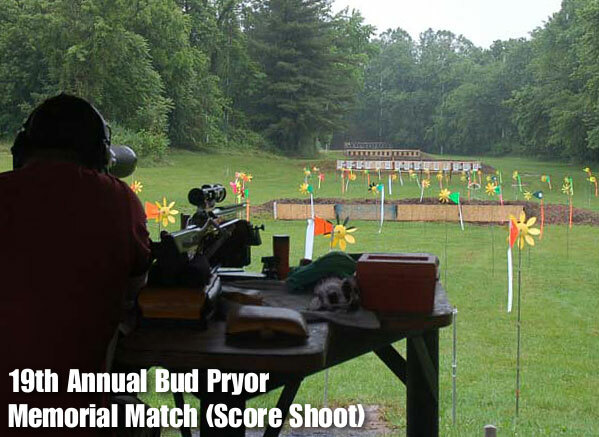 Because it includes three yardages plus a Grand Agg, the Bud Pryor event is a 60-point match just like the Nationals. Likewise the Maine Firecracker held over Memorial Day weekend is also a 60-point match. These 60-point matches are very important because no matter how many matches in which the shooter competes, he only gets to count his ten best in the final standings. My friend Allie Euber, Score Shooter of the Year in 2007 and 2010, notes that these 60-point matches are essential if you want to make a serious run at Score Shooter Of the Year. 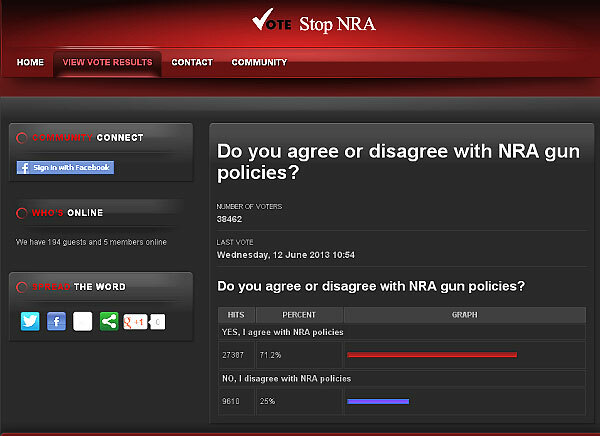 Sunday promised to be a tough day of shooting at 300 yards. The warm 83° temperatures, combined with the very wet ground, might have made for horrible mirage. Luckily the day was overcast for the most part. Mirage did get bad a few times but never as horrible as I have seen at Thurmont. Wind was constant and switchy. 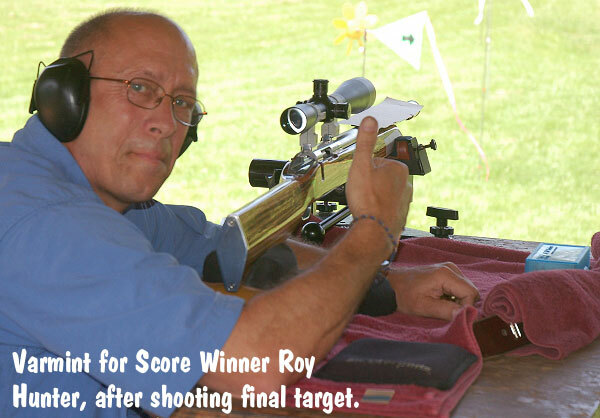 At the end of the day one lone shooter, Roy Hunter, was clean for the weekend with a 750-26X (and 250-5X at 300). Roy was shooting a 6PPC and his performance was no fluke as Roy was one of only two clean shooters at last years “Bud”. 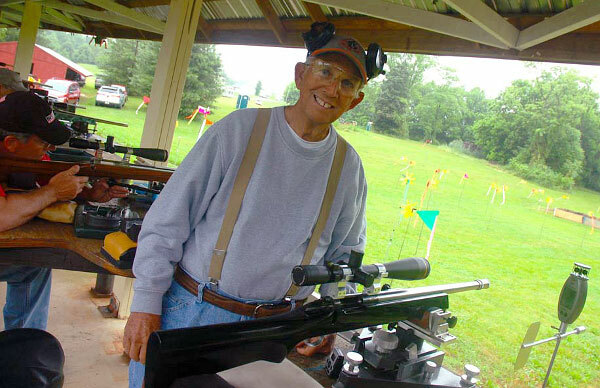 Share the post "19th Annual Bud Pryor Memorial Match (Score Shoot)"
Share the post "Anti-Gun Website Poll Backfires Big Time"
We all know that reloading components have been in short supply in recent months. If you’ve been searching for quality brass, your wait may be over. A boatload of Lapua cartridge brass has crossed the Atlantic, cleared customs, and is now in warehouses. 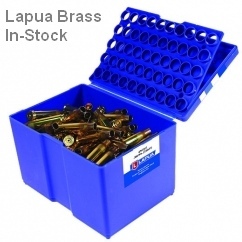 Many large vendors report that they have ample supplies of Lapua brass in stock now. So if you need some cartridge cases, place your orders today. Creedmoor Sports Grafs.com Powder Valley Inc.
Share the post "Lapua Brass in Many Popular Calibers Available Now"